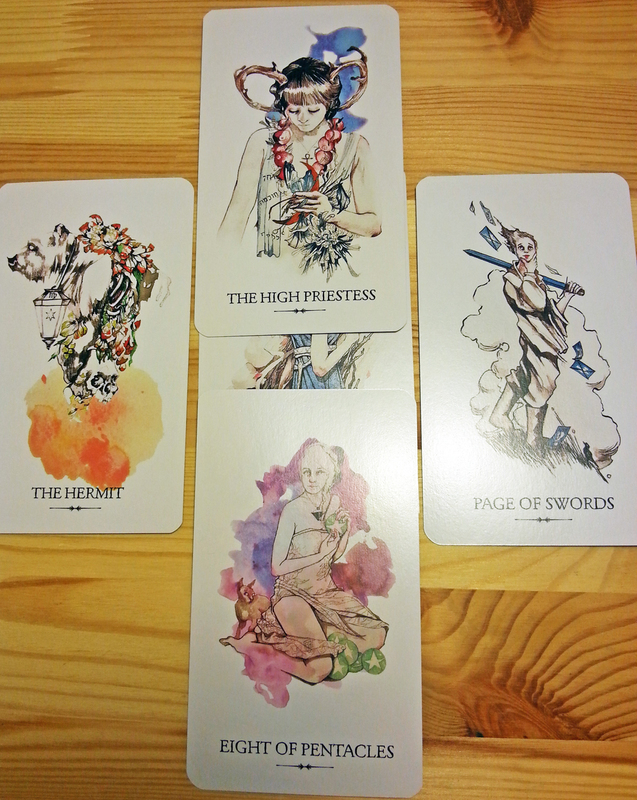 For me, one of the most effective ways of bringing the Dharma into my practice of tarot is to create Dharma-centered tarot spreads. Buddhism’s many numbered lists–you think I’m kidding, but I’m not–are great for turning into spreads. Please feel free to use any of these. I’d love to hear if they work for you, whether or not you’re Buddhist. This is a 4-8 card spread that uses the structure of the Four Noble Truths (which is also the structure of basic medical diagnosis) to solve problems. I’ve found this one to be very straightforward and clear. This is a spread to help understand where you are in your daily practice. That could be a meditation practice, writing practice, prayer practice, jogging practice, or any daily practice you undertake. 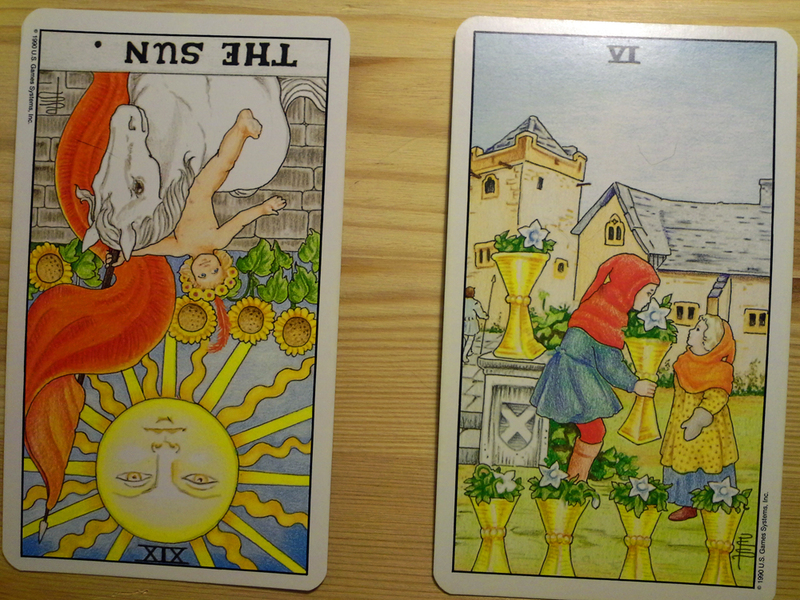 It’s a snapshot of how things are going right now so you can make adjustments as necessary. 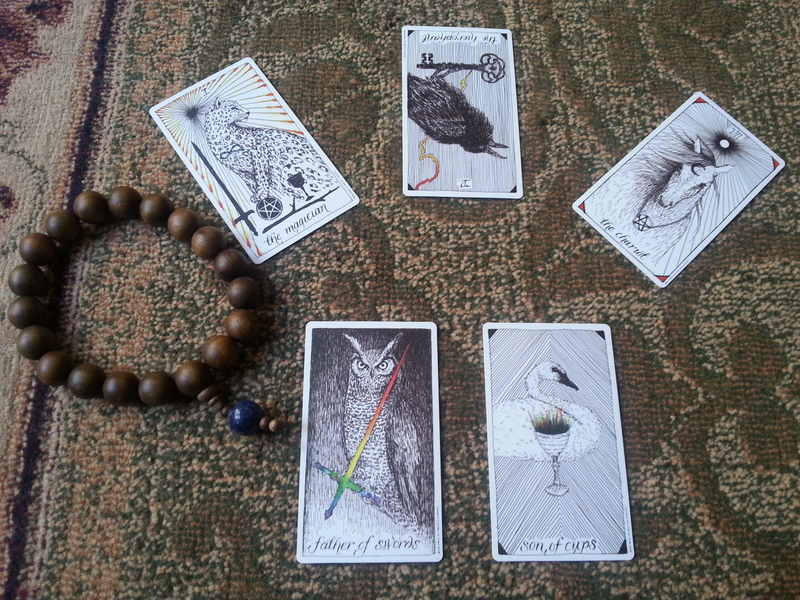 Four nutriments spread with the amazing Linestrider Tarot Deck. The four nutriments are the things that we take in, which perpetuate our existence. 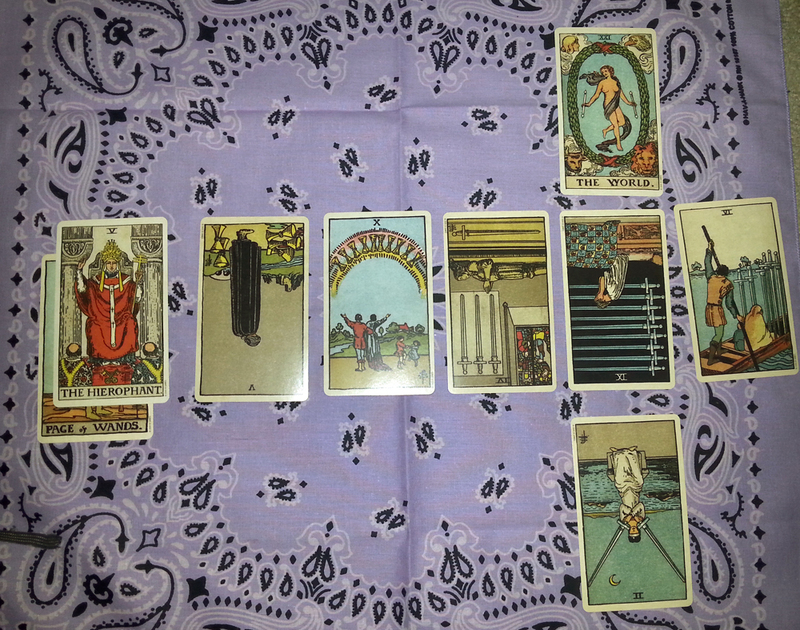 This one is a little abstract, but a tarot reading made it surprisingly concrete for me. This is for understanding where you are coming from when you are planning a difficult conversation and how to speak your truth. A simple spread for sitting down with yourself and finding out how best to take care of you body, mind, heart, spiritual practice, and daily affairs.